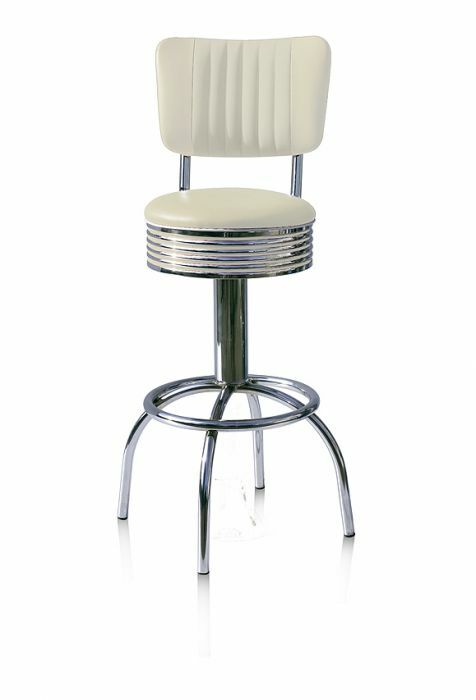 This luxurious barstool makes hanging at the bar very comfortable. The comfortable backrest and seat offer lots of seating comfort. 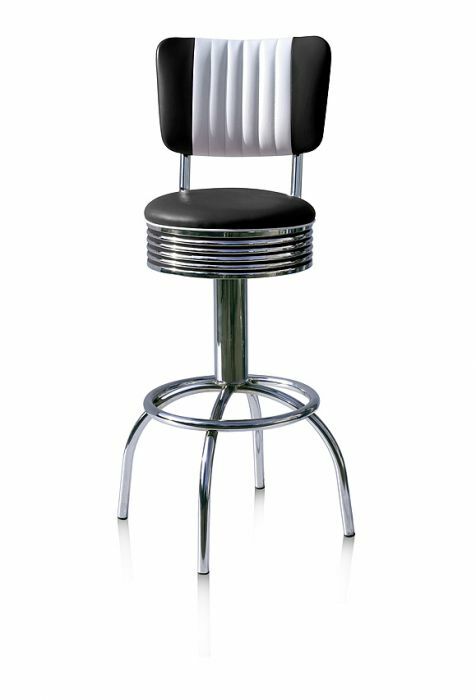 The BS-30CB has a stylish appearance with its white stripe across the backrest and the leather-look seating. 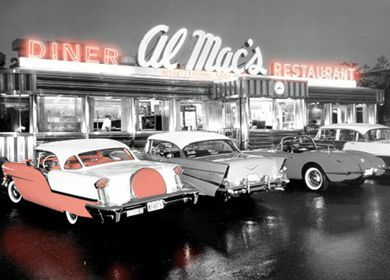 The chrome frame really gives it the fifties look. 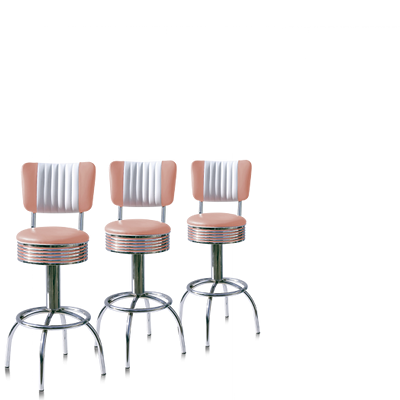 In short, this bar stool is an essential piece in every retro décor.